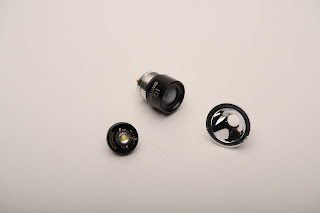 If you are looking to get a whole new level of performance out of those old Mini Maglites you have laying around, take a look at these two components that drop into your standard two AA Maglite. Although they are not without some quirks and issues - as you will see in the following video review - I think they are a useful upgrade nonetheless. 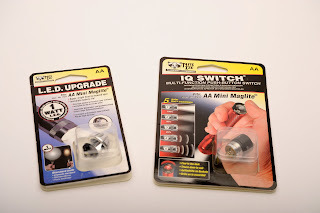 The upgrade consists of a 1 watt LED module and reflector (which must be replaced together) as well as a nifty intelligent tailcap switch which Nite Ize calls their IQ Switch. The combination gives your Mini Maglight more light output, longer burn-time on a set of batteries, a better quality beam, the ability to adjust light output, and a handy blinking light in the tailcap for locating your flashlight in the dark. where did you get light upgrades? I bought it at Academy Sports.